Budapest is the capital of Hungary. It's a vibrant city with a youthful atmosphere and an energetic nightlife. It also has a rich culture with an impressive music scene and fascinating art galleries. Whether you're traveling to Budapest alone or with a group of friends, a hostel offers a fun and affordable place to stay where you're likely to meet other travelers. Hostels also have some great amenities including shared kitchens and group activities. A good hostel for couples and groups of friends. 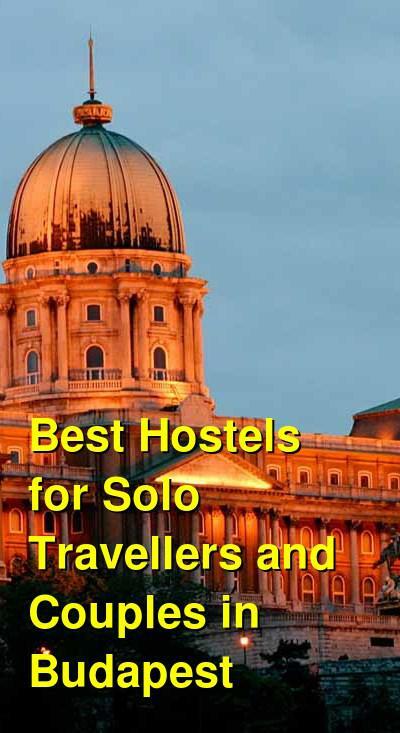 AVAIL Hostel is a comfortable and quiet place to stay in the heart of Budapest. It's the perfect option for couples or friends that are traveling together and want a convenient location in a peaceful setting. The hostel is affordable without losing its charm and character. It's located in the city center, and is very close to the subway and the Danube. The hostel has a variety of amenities available to guests. There's a full kitchen where you can prepare your own meals. There's also free internet available and a very helpful staff that can help you with any travel arrangements you might need. 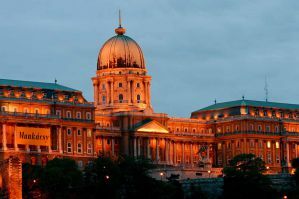 They know all of the best cultural sights as well as the best parties and nightlife in Budapest. If you want to stay in a peaceful hostel where you can go out for drinks and nightlife, but return for a quiet nights sleep, then this is a good option. Pal's Hostel is another unique option in Budapest. It's actually a chain of apartments and private rooms that are located in the center of the city around St. Stephen's Basilica. If you're looking for a place that offers privacy at an affordable price, then this is a good option. You'll have your very own apartment that will quickly start to feel just like home. There are also private rooms available with shared bathrooms if you want to save a little more money. The staff at the hostel know all of the local sights well and can offer discounts on some tickets. They can also provide airport pickup for an additional fee. The apartments and rooms are in the very center of the city and you can walk to most sights including Saint Stephen Basilica, Chain Bridge, Parliament, Andrassy Avenue, the Opera House, and much more. It's also near many restaurants and pubs. The Loft Hostel is a great option for backpackers who want comfort and affordability in Budapest. The hostel has a community feel and it's easy to meet other travelers. Many guests head out on the town together to explore the sights or enjoy the nightlife. It's a small place, so it has a personal feel and many guests quickly become friends. Some stay up late into the night chatting and sipping a beer, while others retreat to their rooms and enjoy a good nights sleep. This hostel has a mellow atmosphere that really meets every traveler's needs. This is really a great hostel for solo travelers that don't want a party atmosphere, but do want to meet other guests. It's really just a chill place to stay with it's own intimite personality. The hostel has double private rooms available with private bathrooms. There are also dorms that sleep four, six, or eight people. The Lavender Circus is a quiet apartment style hostel that is located in Budapest's city center. It's a cozy and comfortable place to stay that is found in a historical building that dates back to the 19th century. The hostel has a cozy and personal atmosphere where it's possible to meet other guests but most people do not party late into the night. There are private rooms available as well as apartments. You can enjoy your own privacy, but also enjoy the social aspect of a hostel. Each room is decorated with it's own style and character. The owners have put a lot of focus into details, so every room feels unique and special. The hostel has a kitchen and a lounge where guests enjoy hanging out. The staff often host Hungarian dinner parties where they serve Hungarian palinka or local wine, and guests can learn to prepare local dishes. It's a fun way to get to know other travelers. The hostel has no dorms but there are double rooms and apartments available. With double rooms, you can choose between shared or private bathrooms. Apartments have two beds each.